SpectraTime has announced it has been awarded a €1-million contract to improve rubidium atomic frequency standards (RAFS) as part of the European Space Agency (ESA) GNSS Evolution Program. SpectraTime is the existing supplier of atomic clocks for the Galileo satellites and other GNSS systems, including China’s Compass/BeiDou-2 program. 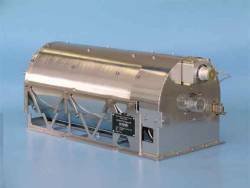 The ESA contract is for a detailed investigation of the current design, manufacturing, assembly and test techniques for fully integrated rubidium clocks in order to achieve a new standard for space within two years. Rochat says that he expects all of SpectraTime’s customers to benefit from the work for ESA because the company’s commercial products are derived from the same design and manufacturing process as our space-based clocks. Neuchatel, Switzerland—based SpectraTime, is a business of the Orolia group, which is headquartered in Les Ulis, France, and includes Spectracom, a manufacturer of GNSS signal generators and constellation simulators.